A rizona Chemical today broke ground on its newest Science & Technology Center in Savannah, Ga. The 27,000 sq. ft. facility is scheduled to open in December 2013, and is expected to cost $10 million to build. The Savannah S&T Center will be home to Arizona Chemical’s US research & development activities and will replace the company’s existing research facility in Savannah. Arizona Chemical and to Savannah,” Bilgrien explained. Arizona Chemical’s footprint in Savannah is solid – in addition to the S&T Cen- ter, the company also has a large refinery there. 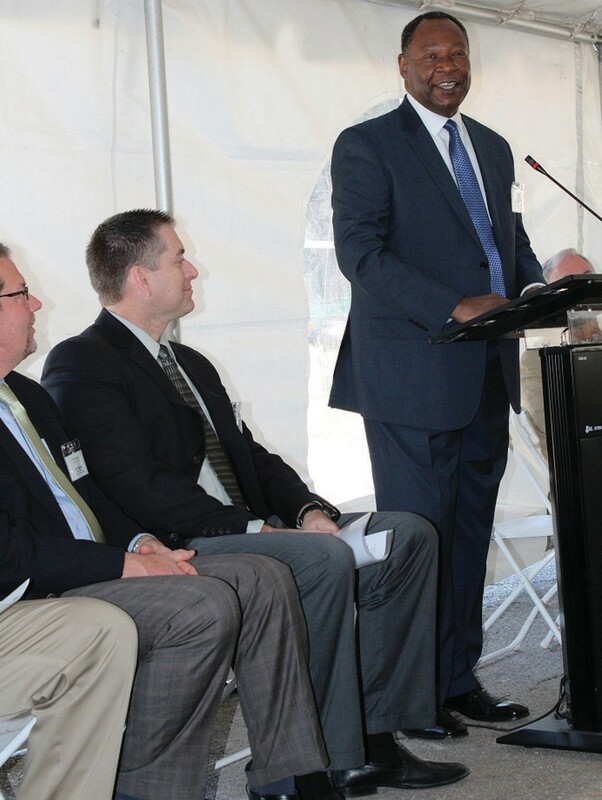 “Our Savannah refinery is among the largest in the company and the global pine chemicals industry. We have more than 200 employees in the Savannah area, and we’re confident that building this new S&T Center on our Savannah campus will not only sustain, but build local employment,” said David Cowfer, Vice President, Human Resources & Communications. The new Savannah S&T Center is being built on the company’s existing property in the Hudson Hill community. “Our existing Savannah S&T Center has been in operation for more than 50 years,” noted Paul Williams, Director of the Savannah S&T Center. “We’ve had a strong working relationship with the local community and we expect that to continue.” Arizona Chemical’s commitment to innovation doesn’t stop in the US. The company also has a European S&T Center in Almere, the Netherlands, and opened an S&T Center in Shanghai in 2012 to support its growth in Asia.